When we first started out, Virgin Coconut Oil (VCO) was unknown in Australia and around the world. It's because of what we've done over the past 22 years that it's become an industry. Back then (and even today) low quality, mass produced coconut oils are made in factories overseas from copra which is dirty and badly contaminated. It can be weeks after the copra is dried over a smokey fire, and transported to the overseas mill, before it is pressed. The resultant oil has to be highly processed, often with chemicals, to make it taste and appear commercially acceptable. The only return to the farmer for his hard work is the low price paid for the coconuts. This changed forever when our founder, Dr Dan, invented the DME® (Direct Micro Expelling) coconut oil press and process. Our DME® Process enables local families to hand-make one of the world's freshest virgin coconut oils within an hour of opening the coconut without the need to leave their village and families. The DME® system is also easy enough for women, youth and even the disabled to use, providing opportunities for everyone in the village. Now people in cash-poor and vulnerable remote island communities have the ability to make a good living in their own village. Income generated from virgin coconut oil sales flows back into the whole local economy. 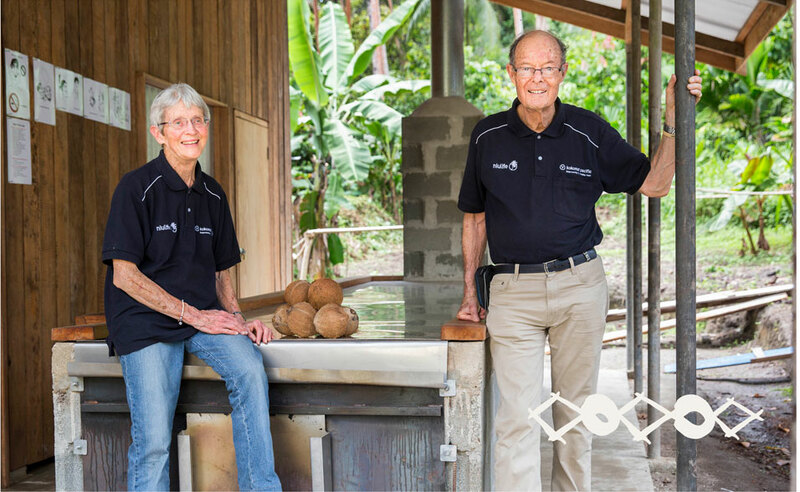 Every DME® system provides a whole micro-economy of jobs and opportunities - from the farmers who pay their kindy fees in coconuts, to the local transport driver who delivers the coconut oil and goods from other small village businesses to the outside world. Not only do we buy ALL the oil the villages produce upfront (as long as it meets export standards) but we also give back all the profits from the sale of every Niulife product so they can enjoy a better quality of life.